This white wooden square Serving Tray 12 x 12" / 30 x 30 cm Greige Cosy & Trendy is very handy for setting and serving verrines and cups. With its white patina color, this Patina Cosy & Trendy wooden serving tray blends perfectly with different table styles. 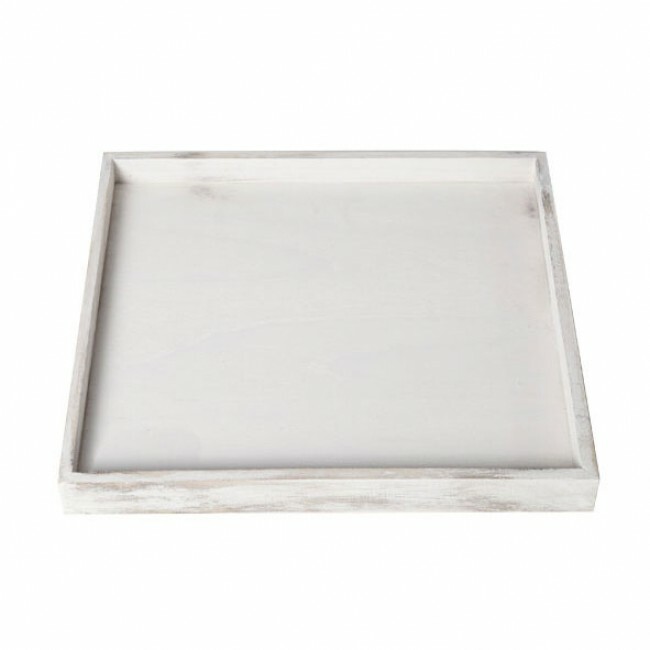 Get this beautiful Cosy & Trendy white patina wooden serving tray to bring style to your table.